This season is all about the exposition, which is a nice treat considering how slowly the first season moved along. There are a lot of new characters being introduced, but from what I’ve seen so far, they’re well worth it. Elektra entered Matt’s life at a point where he was hardly the saint that he is now, and it was interesting to see just how much of their interactions were driven by him rather than her. Elektra recognizing Matt’s ability to see and enjoying with him so many adventures laced with illegal activity was relatively harmless and petty fun, but when Elektra prepared the man who killed Matt’s father to be tortured and then killed to help Matt realize who he really was, it became something altogether different and much more dangerous. That event explains why Matt wasn’t eager to get in bed with Elektra when she suddenly showed up, and the end of the episode once again changed things in a big way, as Elektra donned her own disguise after revealing that she had brought what Matt probably thought was his little secret. 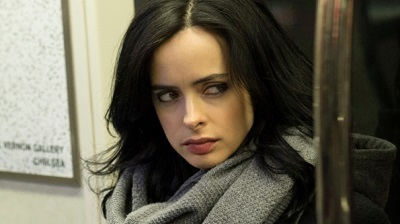 Foggy did a tremendous job of standing up to intimidation from the district attorney’s office, and I enjoyed the reference to one Jessica Jones who exists in the same universe. Karen made enormous progress in her search for the truth about the Punisher, and at this point she doesn’t seem to be digging deep in a way that’s going to immediately put her in grave danger again.